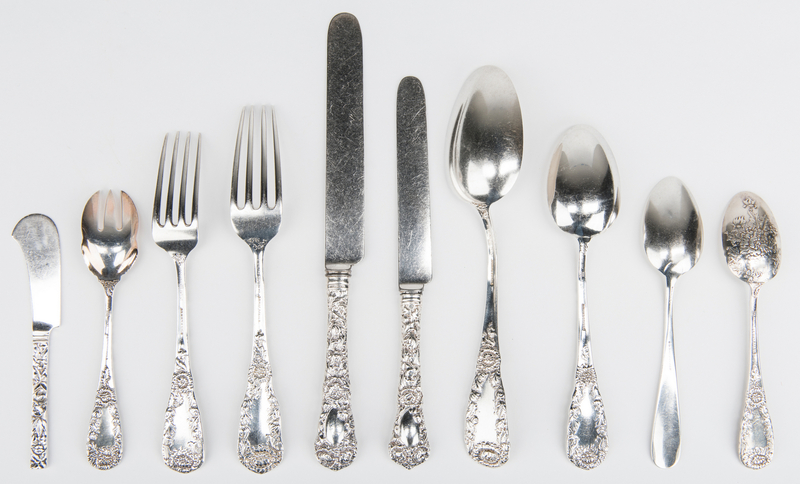 Lot 50: JS MacDonald Sterling Flatware, 105 pcs. 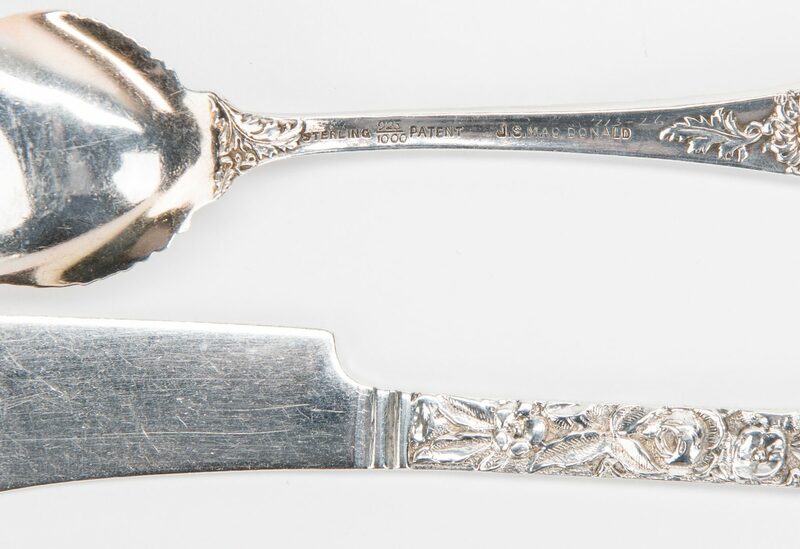 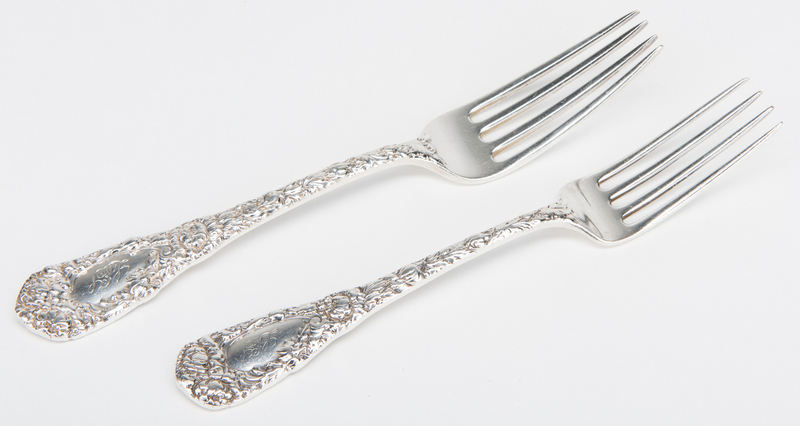 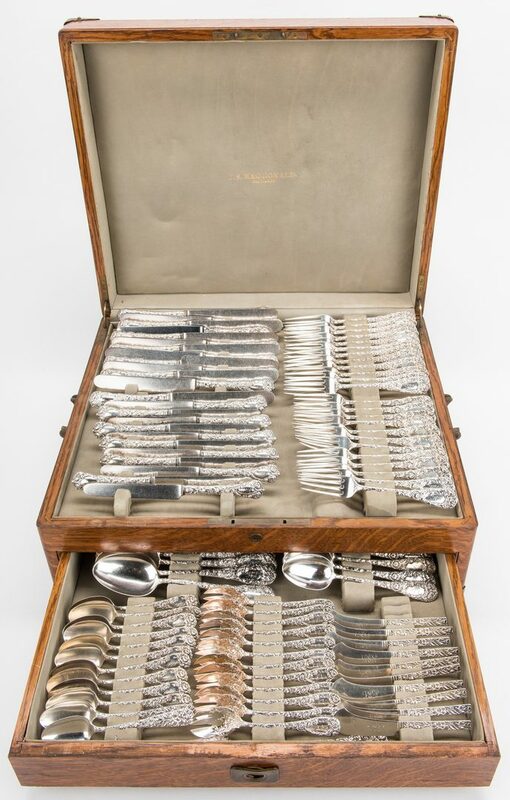 You are here: Home >> July 14, 2018 Historic Summer Fine Art and Antiques Auction >> Lot 50: JS MacDonald Sterling Flatware, 105 pcs. 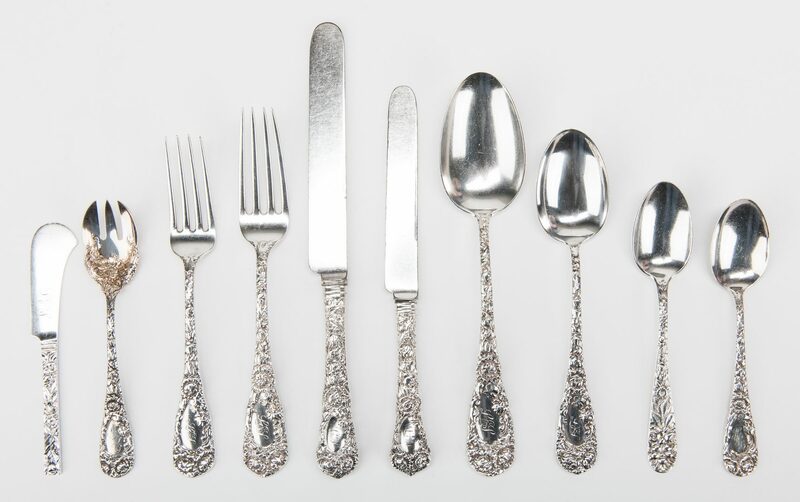 J. S. MacDonald, Baltimore, sterling silver flatware set, two repousse patterns, 93 pieces in same pattern consisting of 13 dinner knives (9 1/2" L), 11 luncheon knives (8" L), 12 dinner forks (7 5/8" L), 12 luncheon forks (7" L), 12 tablespoons (8" L), 9 spoons (7 1/8" L), 12 ice cream forks with gilt bowls, 10 teaspoons plus 2 solid sterling curved handles in same pattern. 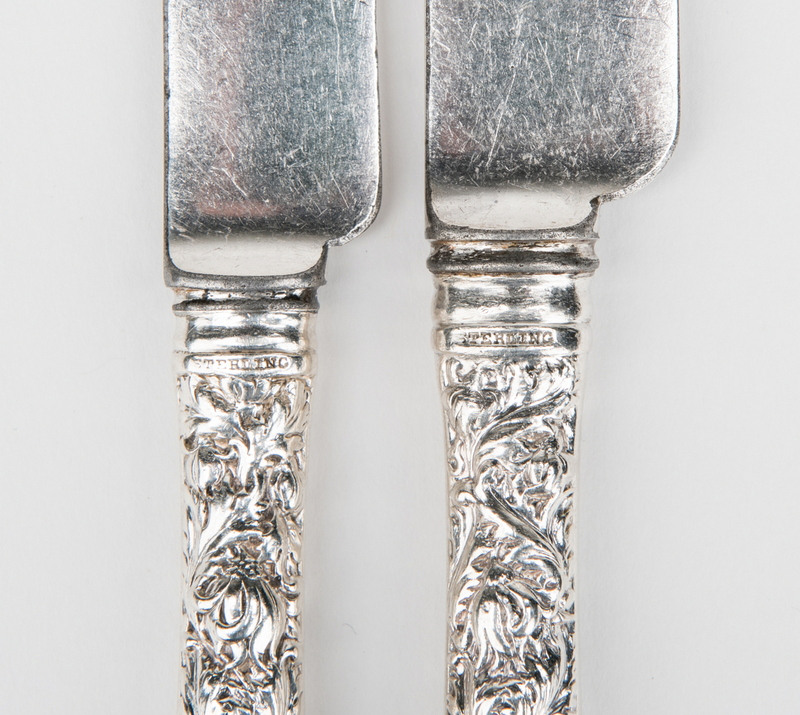 Group also includes 10 flat butter spreaders and 2 teaspoons from similar but different repousse pattern. 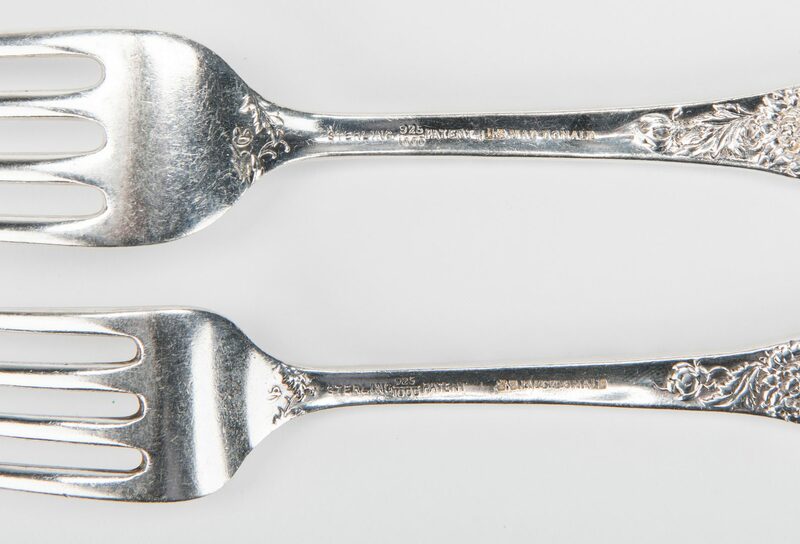 105 pieces total, 143.65 total weighable oz troy. 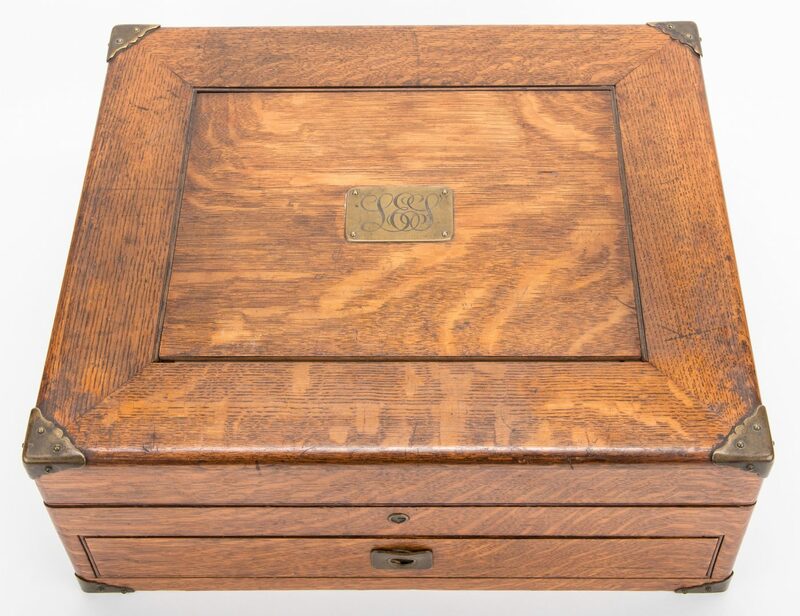 All items come in J. S. MacDonald, Baltimore gilt stamped fitted oak case with hinged lid and single drawer (7 1/2" H x 19 3/8" W x 16 1/4" D). 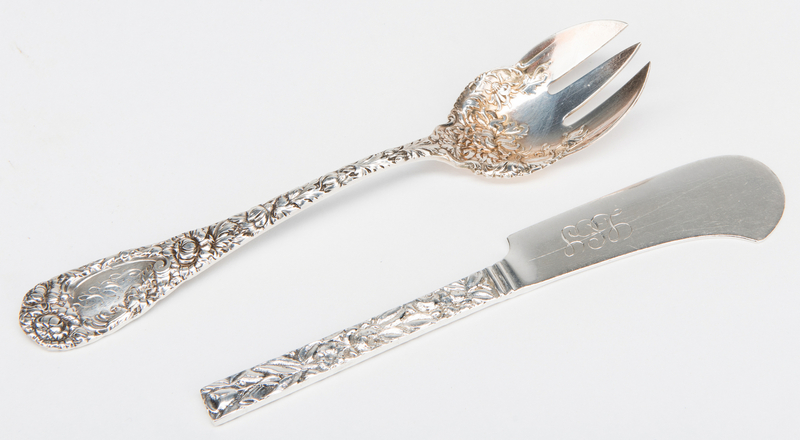 All sterling monogrammed. 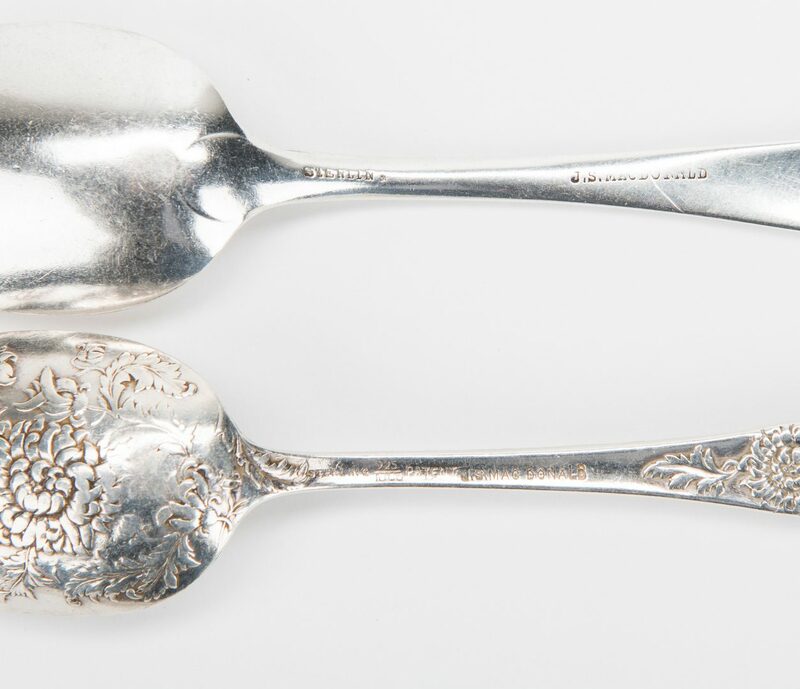 Early 20th century, CONDITION: All sterling in good condition with some signs of wear due to use. 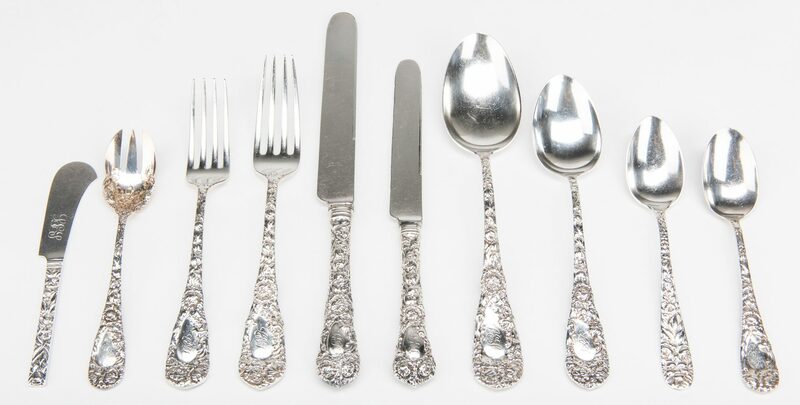 All items with same monogram. 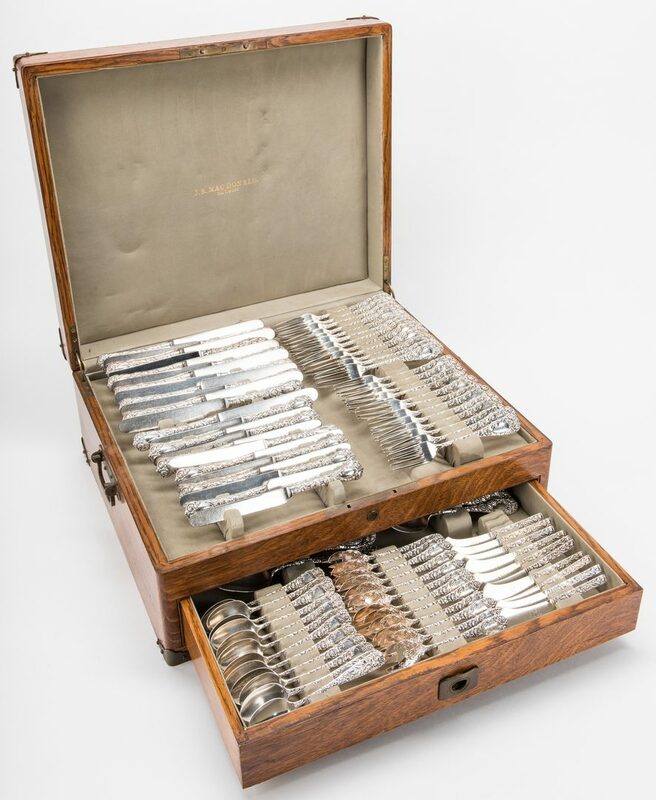 Fitted case with one loose hinge.